Okay. We are throwing back to #ThirstyThursday today in honor of Halloween. I have Witches Brew for you. Pineapple Juice steals the show here with just a hint of orange and lime- you are in for a bright and delicious vodka cocktail! 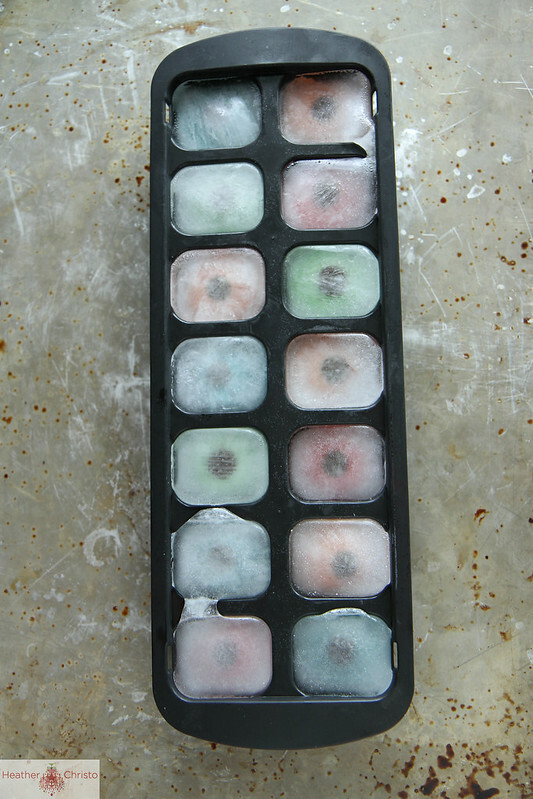 I also used these very cool Ice Cubes for these drinks! With one week to go, perhaps you are thinking about all of the spooky possibilities? I am in the same position I wind up in EVERY Halloween. Not sure what to be. Pete and I are invited to a wild party this year, and per usual we have no costume. But I have now realized, this is about Pete not wanting to commit (or dress up really) to anything in the costume realm. I might have to let him just be Anchorman on his own, and I will think up my own costume. Either way, the clock is ticking! If you have any good (and appropriate!!) suggestions for costumes (couples or solo) please let me know. I am desperate. 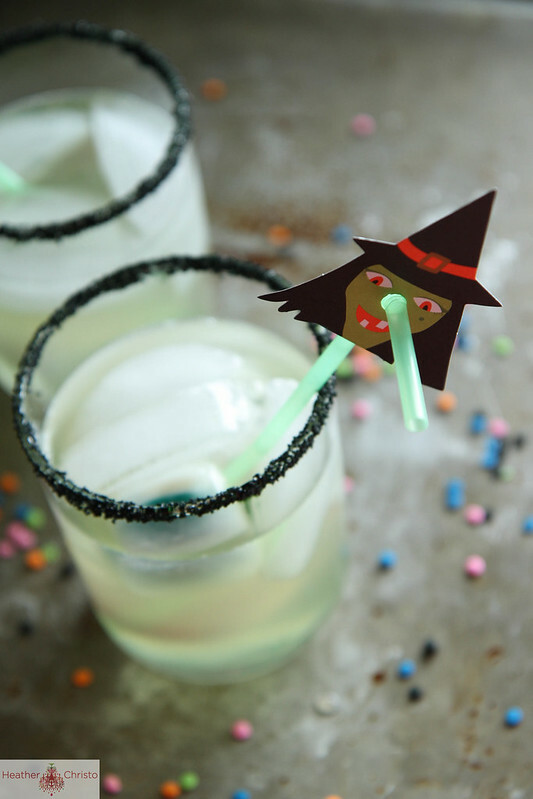 In the meantime, maybe make yourself one of these “Witches Brew” Cocktails and enjoy the season! 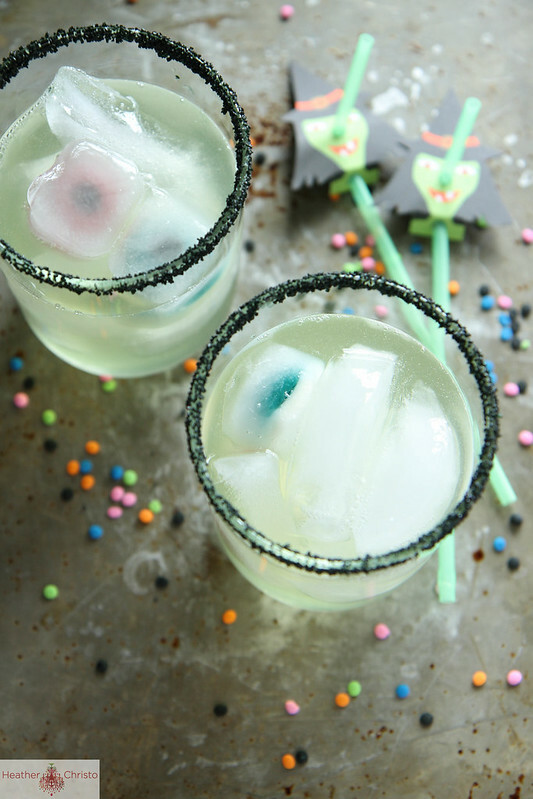 Prepare the sugar rims by swiping them with the lime wedge and then dipping them into the sprinkles or non-perils. Let the rim dry. In an iced filled cocktail shaker, shake all of the ingredients together (jncluding the squeezed out lime wedges). Fill the glasses with ice cubes and strain the cocktail over the ice. Serve immediately. 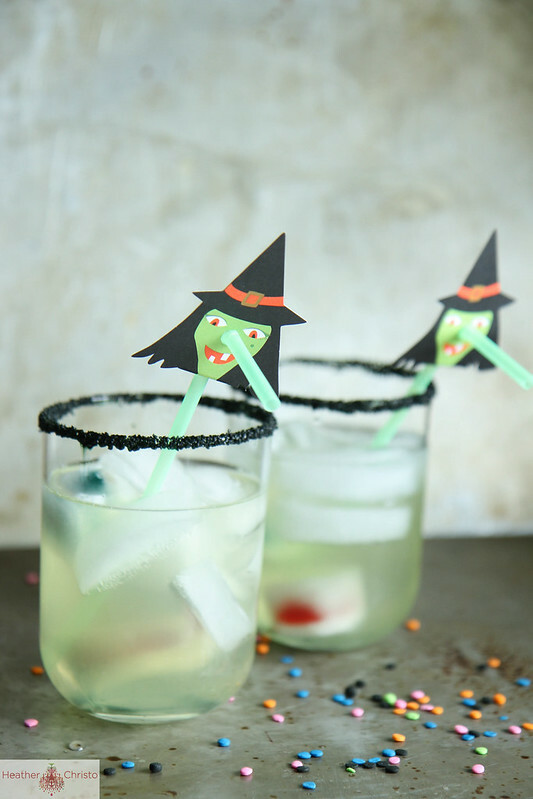 Most awesome Halloween cocktail ever! So creative! 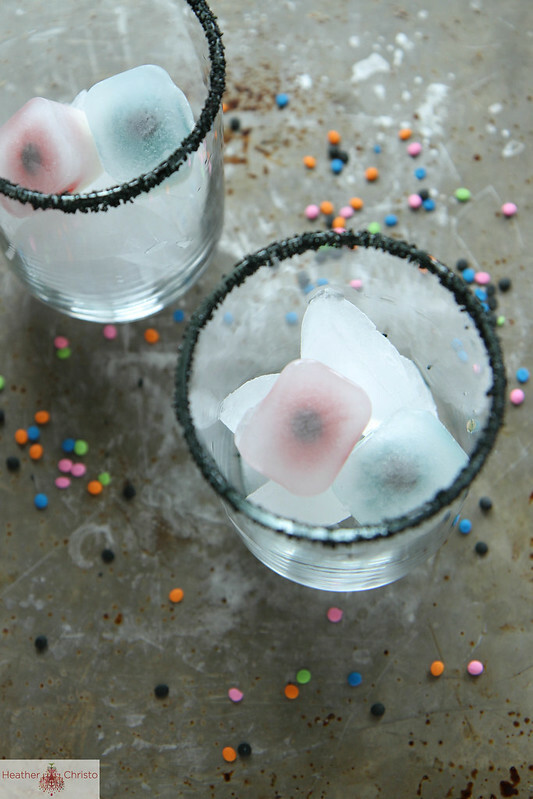 Really love the black sugar rim and gummy eyeball ice cubes! When you say 2 oz orange liquor do you mean something like Triple Sec?